Study in a thriving city with culture to spare. Study at a campus interwoven into the downtown core. We’re committed to bringing industry-leading expertise in arts, mathematics and engineering to our Milton campus in years to come. 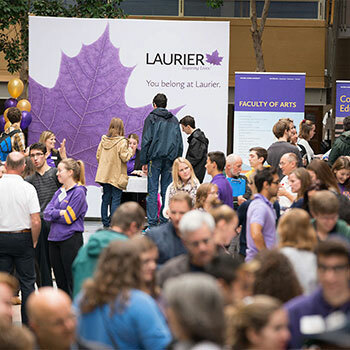 Laurier’s two biggest campuses are in Waterloo and Brantford, but we also have a Faculty of Social Work in Kitchener and a weekend MBA program in Toronto. 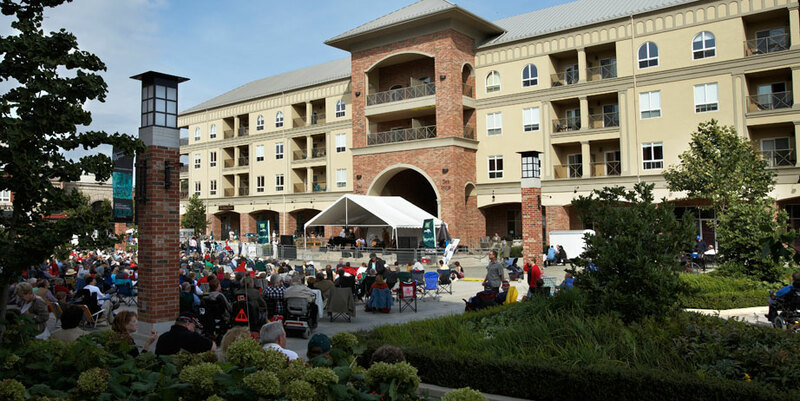 In 2019, Laurier will establish the first phase of its presence in Milton. All our campuses and locations are about an hour's drive (or less!) away from Toronto, Canada’s biggest city. Of Laurier’s 19,000 graduate and undergraduate students, 16,000 are enrolled at our Waterloo campus, which trades on the energy from the thriving, tech-savvy Region of Waterloo. Faculties in Arts, Music, Science, Education, Graduate Studies and the Lazaridis School of Business and Economics are based here. Laurier is a leading force in research among Canadian universities, and many of our research centres and institutes are housed here. Study at campus where you’re never far from your latest outdoor adventure. More than 3,000 students are enrolled at Laurier’s Brantford campus, which is rooted in the downtown core yet close to great walking and biking trails. The faculties of Liberal Arts and Human and Social Sciences are based here. Laurier, in partnership with Conestoga College, is committed to extending Laurier’s high-quality academic and student experience along the Toronto-Waterloo Innovation Corridor to the fast-growing community of Milton. In early 2019, Laurier will announce the degree and non-degree courses it will begin offering as early as fall 2019 during the first phase of the university’s presence in Milton. Laurier’s Lyle S. Hallman Faculty of Social Work program is housed in a fully renovated century-old building in downtown Kitchener. Close to 300 graduate students are based in the heart of the downtown area, and minutes away from Laurier’s Waterloo campus. 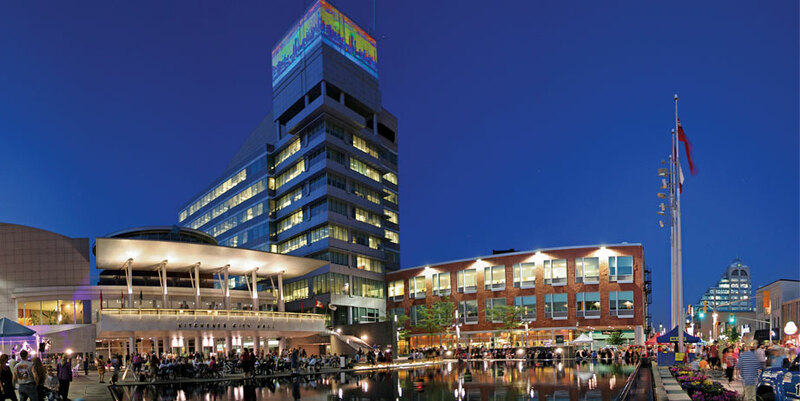 Our Toronto Office, located on the ground floor of The Exchange Tower at King and York Streets, connects Kitchener-Waterloo, Brantford and Milton to the Greater Toronto Region (GTA). It also positions Laurier at either end of the Toronto-Waterloo innovation corridor. Laurier Toronto provides staff, faculty, alumni and students with free space in the heart of downtown Toronto. The space is multi-functional and has hosted roundtables, poetry readings, receptions, professional development sessions, workshops, and more. Since 1999, the Lazaridis School has offered graduate programming in the financial district of Toronto. Each year more than 250 MBA and MFin candidates are enrolled in one of our “part-time alternate weekend programs,” located at Vantage Venues on the 27th floor of the Sun Life Financial Tower. Laurier’s office in Chongqing, China provides a critical link between the university and its nine university partners in the region. 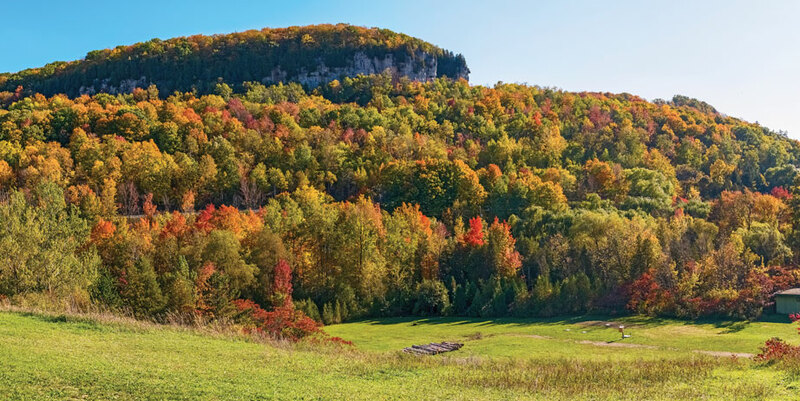 In addition to providing exchange opportunities for students, Laurier is leading several Canadian initiatives in the region in areas such as supply chain management and logistics, health care informatics, social services and higher education management.